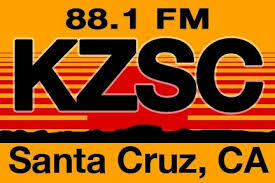 On Wednesday, October 11, 2017, former President of the Smith Renaissance Society, Shawn Cervantes came into the KZSC Radio Station to talk about the organization and the current exhibition at the Santa Cruz Museum of Art and History “Lost Childhoods,” about California foster youth, and an opportunity to spend time with the creators of this powerful exhibit, including current and former foster youth, Smith Society students, and artists and advocates. Shawn brought with her a former Smith Fellow, Bonnie Bea, and current “Smithie”, Jack. Bill Dickinson founded the program as a living memorial to Page Smith, the historian and founding Cowell College provost, and his artist wife, Eloise. The Smiths had been instrumental in Dickinson’s growth as a young adult. 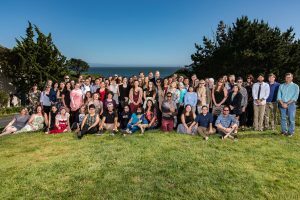 Having grown up in an orphanage and foster homes, going on his own when he was 16, Dickinson was one of the first students to arrive on the new UC Santa Cruz campus in 1965. 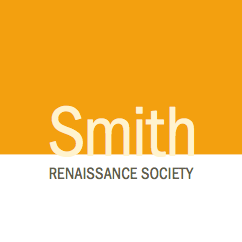 The Smith Renaissance Society, as it’s now known, is remarkably successful—the graduation rate of alumni, called Smith Collegiate Fellows, is higher than the UC and UC Santa Cruz average.